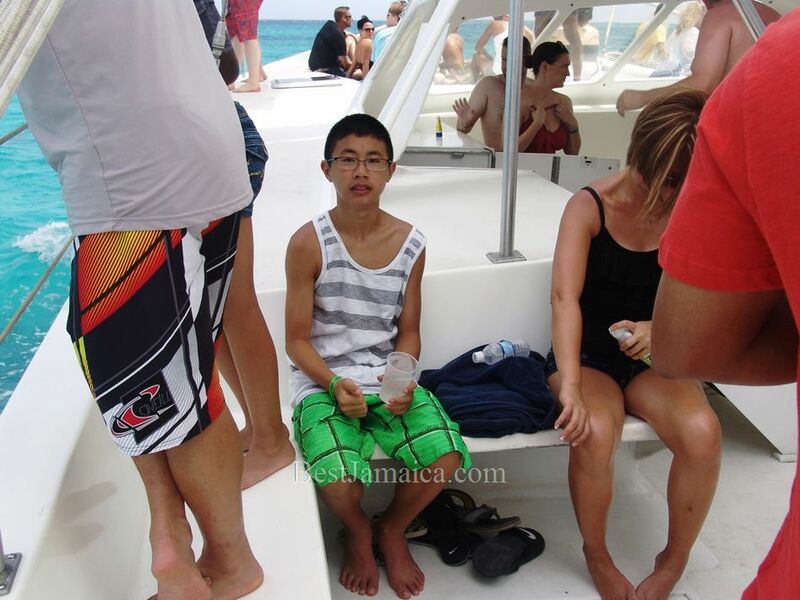 Copyright© BestJamaica 2013 all rights reserved. 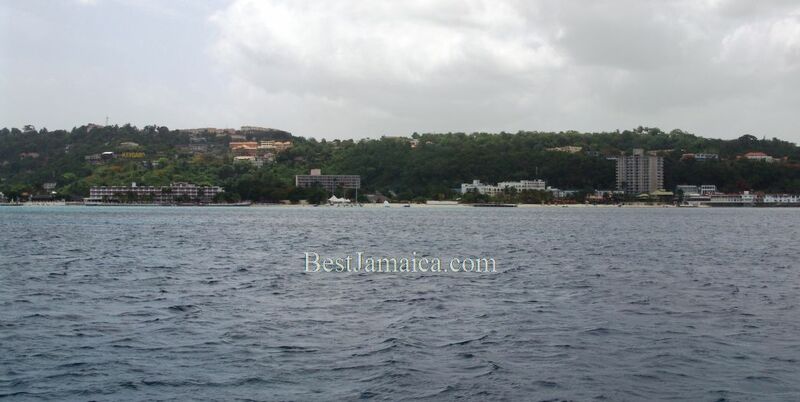 Dreamer Catamaran cruises in Montego Bay is a must do while sojourning in this resort town. 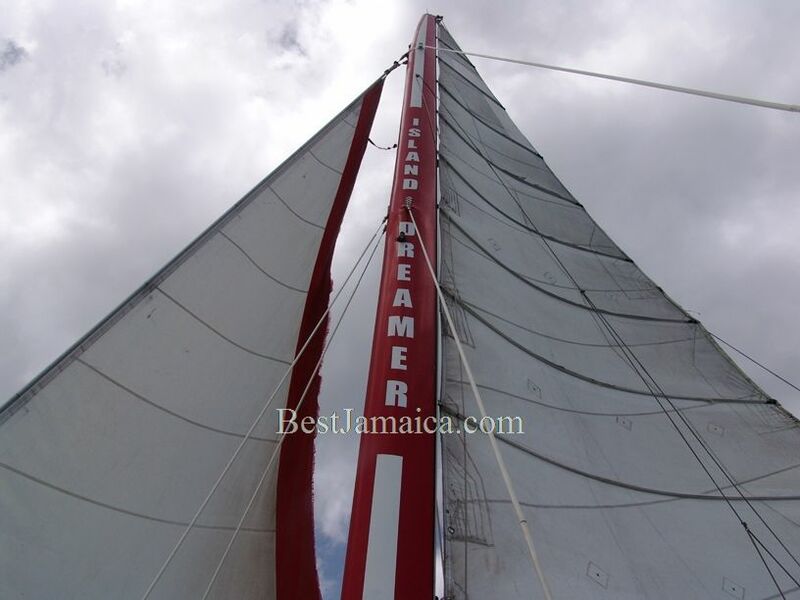 Best Jamaica has partnered with Dreamer Catamaran Cruises to provide a complete package which includes transportation to and from your hotel. 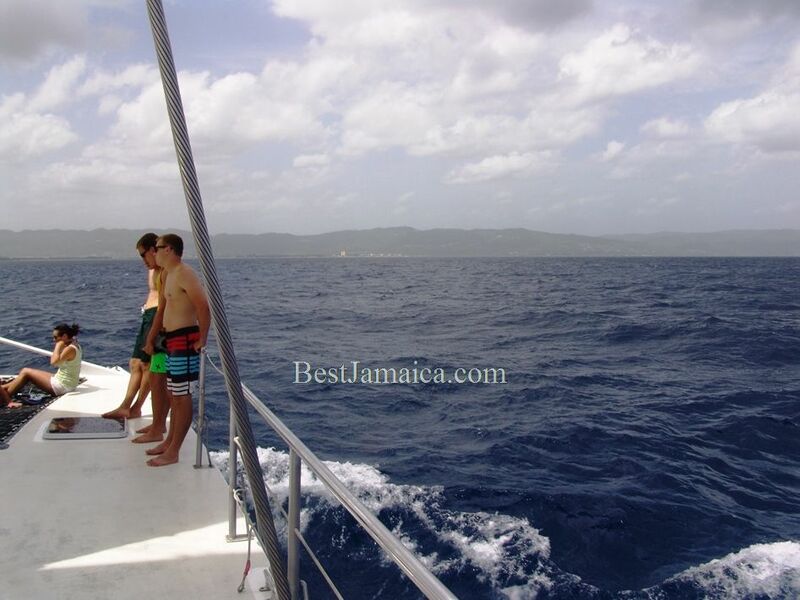 If are staying in Montego Bay, then you must take advantage of any of these Dreamer Catamaran Montego Bay /Best Jamaica cruise packages. With three cruises to choose from, there is absolutely no good reason not to enjoy your vacation the best way possible. Enjoy the beautiful scenery of Montego Bay's coastline with the picturesque backdrop of the hills dotted with beautiful buildings. The route is carefully chosen by the Dreamer Catamaran Cruise captain in order to sail over the bluest and clearest waters you will ever see. 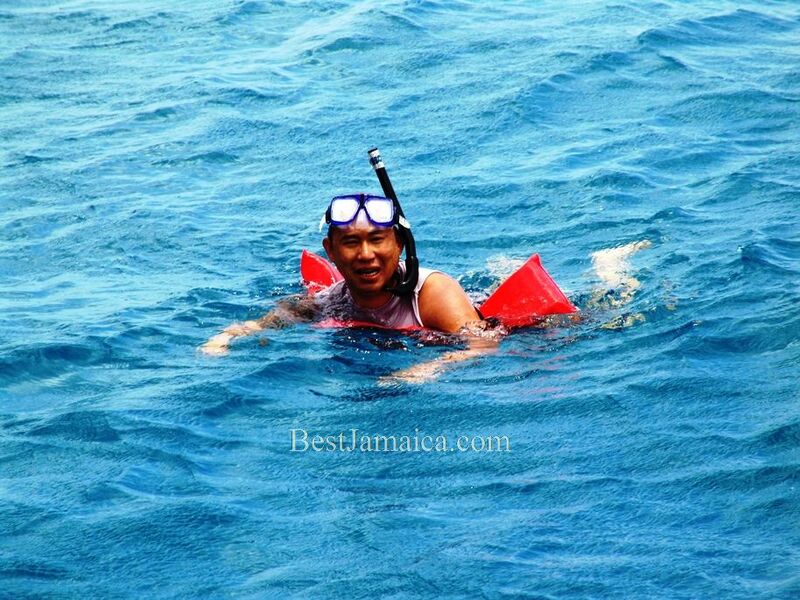 Introduction to a tropical underwater world within the Montego Bay Marine Park. Enjoy lazing on the front nets and get lost in the moment while the sounds of Reggae and Soca permeating the air and the gently Caribbean breeze caress every inch of your body. 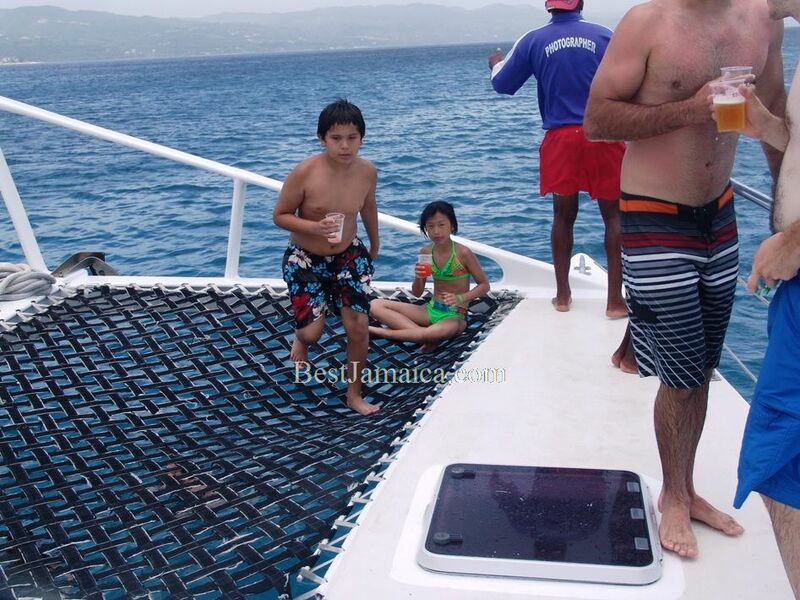 One cannot help notice the complete bliss that has each patron lost in the moment on these Montego Bay Catamaran Cruises. Open Jamaican Bar with Champagne Mimosas, Hors d’euvres includes chicken skewers, Fish Fillet with Caribbean Tartar Sauce, Italian Meatballs, assorted Cheese & Crackers and assorted Finger Sandwiches. For all visitors staying in Montego Bay, Best Jamaica charges a flat rate of $15 per person round trip transportation with a minimum of 2 persons required. 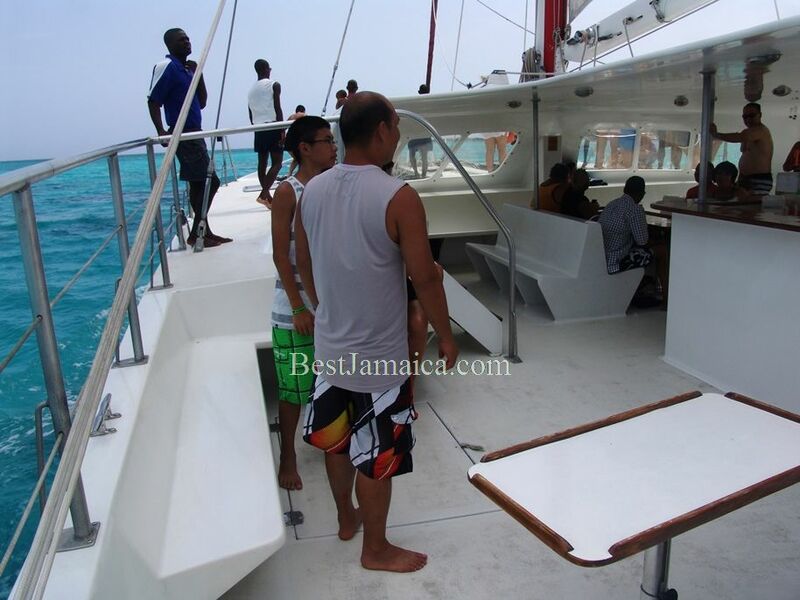 You may reserve your Montego Bay Catamaran Cruise through us and pay when you arrived to the facility, or you may pay online including transportation, PayPal and all major credit cards accepted.